A year ago, 23-year-old Mathew Jose found out that only 20 percent of the waste generated in India is recycled. 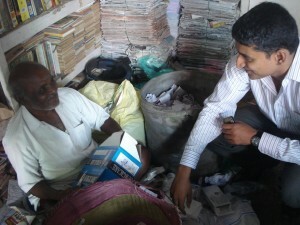 This was despite the unique system of door-to-door rag-pickers in India who buy waste from households and sell it to recyclers at a higher price. This inspired Mathew to start a recycling revolution by reviving the unorganized sector of rag-pickers – and raise funds through recycling, too. Mathew’s passion and faith in his cause is contagious, and that’s plain to see at all his campaigns. But Mathew is quick to insist that the real hero is the movement itself, and the ones who make it all possible – the rag-pickers. 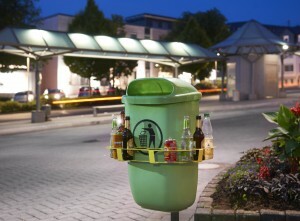 Mathew Jose, right was inspired by the scrap dealers and rag-pickers in India, who, according to him, are the ones who make recycling happen in India. 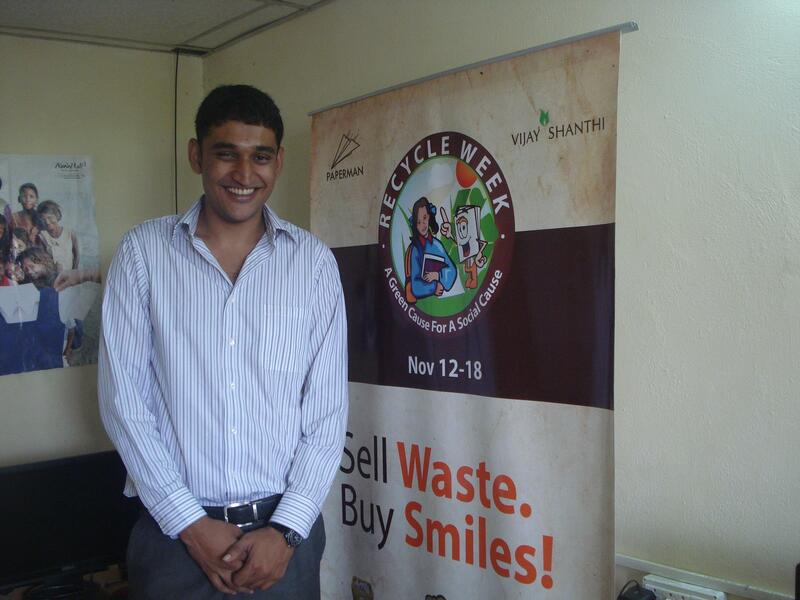 Mathew believes that waste has life, and waste can change lives. 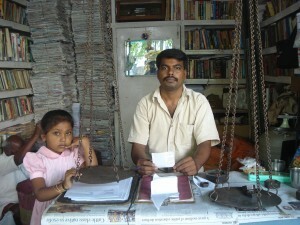 That is why he founded the organisation Paperman in July 2010. 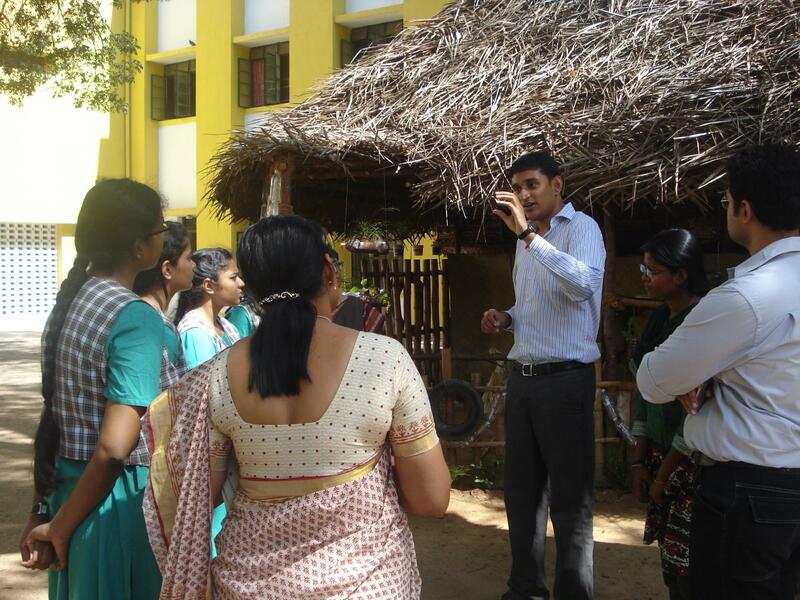 Mathew conducts awareness campaigns in schools and residential areas in Chennai. Here, he talks to some students and teachers at a school.